Evolphin is a leader in media production and collaboration, and by combining our energetic, creative, and like-minded teams, we will offer the best solutions for managing and reviewing media both in the cloud and on-premises. We are working on making our cloud platform even more powerful, and you’ll see some updates soon as we roll them out. Rest assured that with our combined efforts, we’ll provide the same great functionality and service that you’ve relied upon with WavePost, with additional features and benefits to take your creative process to the next level. We combine team collaboration and client interaction in one simple solution, including video hosting, branded presentations, file transfer, a robust commenting system, user rights management, and more. Collaboration has never been so smooth. Sync comments as markers on your timeline. Download and import media to your project. Seamlessly export, upload, and share your cuts in the background. All while never leaving your edit. Never misunderstand your team again. Viewers can comment on your video with timecode accuracy, allowing you to see exactly what they were referring to. And when you’re done addressing the note, mark it as complete. Your videos deserve more than a generic landing page. The WYSIWYG Theme Editor (What You See Is What You Get) lets you customize the fonts, colors, and layout to fit your brand, and see the updates live as you make them. And Pro accounts can have unlimited themes, so you can create a different look for each project or client. Link your coworkers to your Pro account and control what projects they see and what file operations they can do. Easily design the look of your presentations down to the pixel, with your own layout, fonts, and images. Pro accounts are charged by the gigabyte with no monthly commitment, so you won't get surprised by overage fees or pay for unused storage. Presentations are just as smooth on mobile as on desktop. And your videos are automatically encoded so anyone can watch them on any device. You can even upload from your smartphone. Every interaction is over HTTPS, and files require an expiring signature to view them. Presentations can be password protected for additional security. Drag and drop multiple files and they begin uploading instantly. And your media is delivered over a high speed CDN so clients can watch your videos as fast as possible. Sign up for free and find out how we make post production easier for companies all over the world. 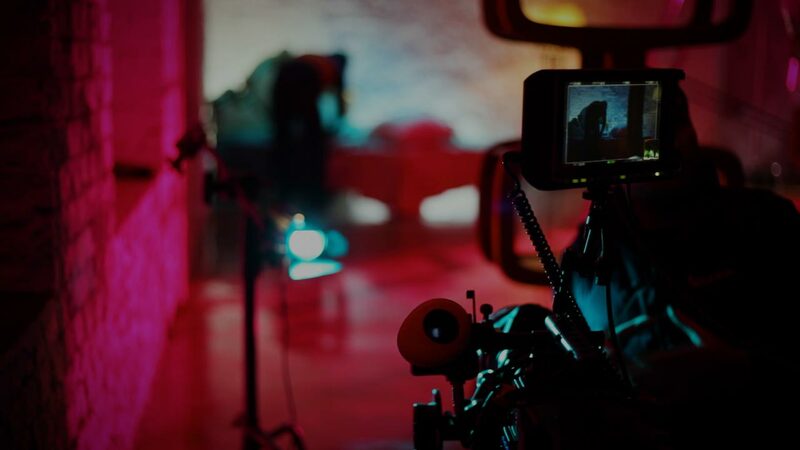 Evolphin’s workflow solutions manage all stages of the production process, from ingest, through post production, to final delivery. Their larger platform fits snugly in with WavePost’s, providing an all-around solution to your video production needs. 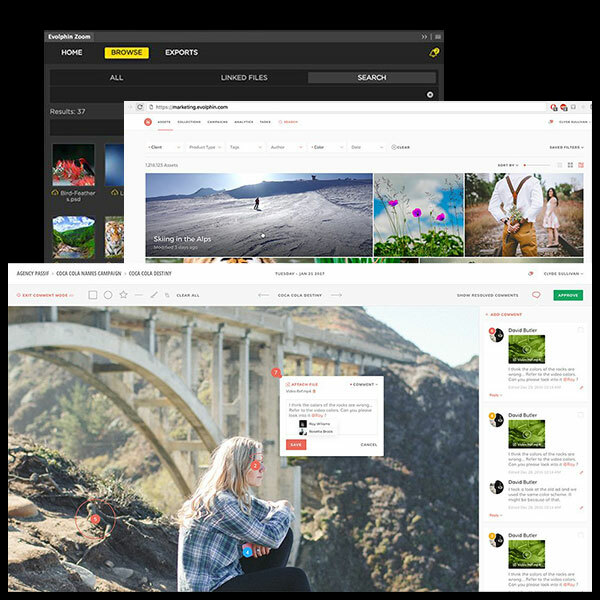 Evolphin Zoom, the revolutionary Media Asset Management system, is used worldwide at some of the largest media firms, television networks, car companies, ad agencies, and more. For more information, please visit Evolphin.com or click the button below to send us an email.